Our My Top 5 feature showcases Houstonians who are shaping the culture in the city and impacting people’s lives. 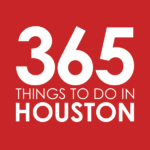 In turn, they share their own favorite things to do in Houston when they’re not hard at work. This week, we’re very pleased to feature Bobby Heugel, bar owner and restaurateur extraordinaire of Anvil Bar and Refuge and related ventures. Corazon – This shop is driven by the incredible passion and dedication for Mexican and other South American artists and craftspersons of its owner. You can find everything from screenprints and posters to handcarved masks, small textiles to Houston’s best selection of vintage guayaberas. Everything here is sourced directly from traditional producers in their specific country and regions, and all of it is incredible. I wish more people knew how really special this place is! Canino Produce and Farmers Market – This is hands-down the best place in Houston to buy produce. It’s not even close. Canino has been in business since 1959 and behind the more structured store front is the largest farmer’s market in Houston. Primarily operated by Mexican families, you can find a plethora of Mexican produce that doesn’t make it to your everyday grocery store shelf. We source our chapulines here for The Pastry War, along with other items. Project Row Houses – In my opinion, the Row Houses are the most important art spaces in Houston. Featuring a different artist in each of these houses in the small collection of row houses that have been minimally converted for this purpose, the sense of history in this neighborhood, the houses themselves, and the art they showcase is a powerful experience that every Houstonian should experience. I like to ride my bike down the paths that are close to the Row Houses and check out every new exhibition. La Carafe – This tiny cash-only wine and beer bar is in the former Kennedy Bakery building that opened in 1860. It’s the best room in Houston to have an afternoon beer and just relax. The room somehow convinces you that there’s nothing else in world through its orange glow, antique pictures hung everywhere, and a bartop that can only come to be through thousands of hands touching and carving into it over the years. It’s perfect in every way, including the ways that it isn’t. Coltivare – This is my favorite restaurant in Houston! The food is always consistently incredible. The cocktails, wine and beers are thoughtfully curated, and the service is always the most polite and professional I’ve experienced in Houston. I try to go to some of the new restaurants that are opening in Houston, but it is hard to get to them all when all you want to do is come back here. Bobby Heugel has changed the cocktail culture of Houston in the six years since opening Anvil Bar & Refuge. The bar, a five-time James Beard Award nominee, has set the standard for Bobby’s subsequent businesses. In 2012, Bobby joined forces with Chef Chris Shepherd on Underbelly restaurant, and David Buerher on Blacksmith coffee shop, amongst many more since founding his management company Clumsy Butcher. Notably Bobby partnered with a group of independent restaurant and bar owners to open the city’s first not-for-profit bar, the OKRA Charity Saloon, which has donated more than $500,000 to local charities since opening in December 2012. Bobby has been named to Forbes’ 30 Under 30 list and remains a strong voice in the cocktail community where he can still be found behind the bar at Anvil, The Pastry War or The Nightingale Room.